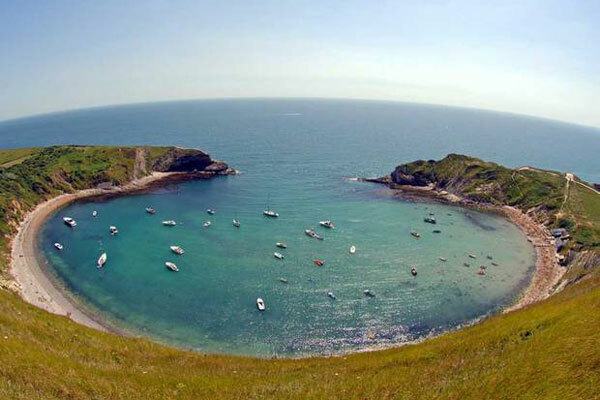 Day out at Durdle Door and Ludworth Cove is certainly something that you cannot miss. They are both a little bit off the beaten track, but is absolutely beautiful, with the wow factor. We will first head towards the natural limestone arch on the Jurassic Coast in Dorset named DURDLEDOOR. The approximate journey time to this beautiful arch is two and half hour. First, you will be dropped off at Durdle door, where we will walk down the top cliff to the steep side of the beach and that walk will be prone to erosion. 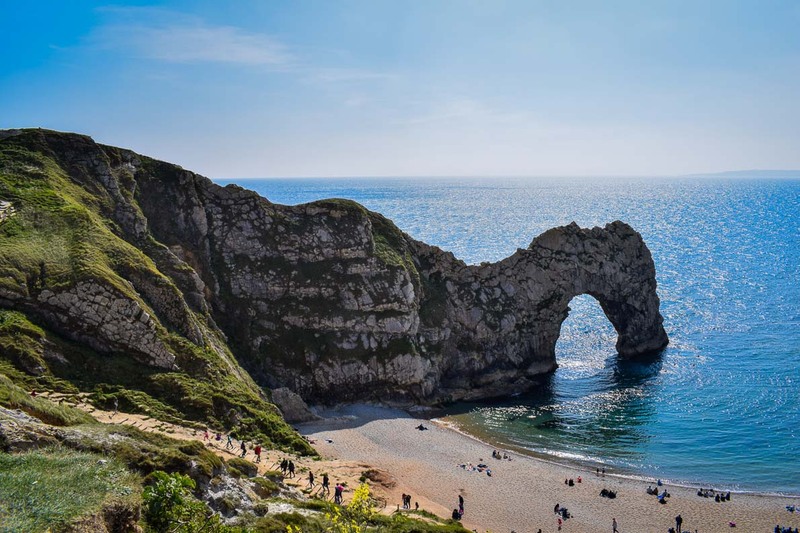 We will reach near the impressive natural arch of Durdle Door which was formed due to the effect of the erosive power of the sea on the vertical layers of different types of rock. You can either walk through the wonderful coastline or even swim in the bathing beach. After the sightseeing in Durdle Door we will make our way towards Lulworth Cove using the public footpath through open fields. Walk is about half a mile or so over the hill to Lulworth Cove. This walk is over a well-trodden path over Hambury Tout which is a BIG hill (though not steep) and it does give magnificent views in both directions. Lulworth Cove is world famous for its unique geology and landforms including the Lulworth Crumple and Stair Hole. enjoy the panoramic views and crystal-clear waters on this stretch of the UNESCO World Heritage Site. From rock-pooling and water sports, to walking, coasteering or just relaxing with an ice cream. We will meet back at car park of Lulworth Cove visitor centre at 6:00pm to make our way back to London. EAST HAM 6.15 – OUT SIDE EAST HAM STATION, HIGH STREET NORTH, E6 2JA. WEMBLEY 7.15 – OUT SIDE SANATAN HINDU MANDIR, EALING ROAD, WEMBLEY, HA0 4TA. HOUNSLOW 7.45 – OUTSIDE HOUNSLOW CENTRAL STATION, TW3 1JG. Any expense for food or snacks during the day. Please arrive 15 minutes prior to the departure time. If you have your own group of family and friends then we can arrange private tour for you whenever you want. We have very comfortable 8 seater and 16 seater vehicles for your journey. For more information please call Yatin on 07778 335 336.